Have you heard about black mold illness? 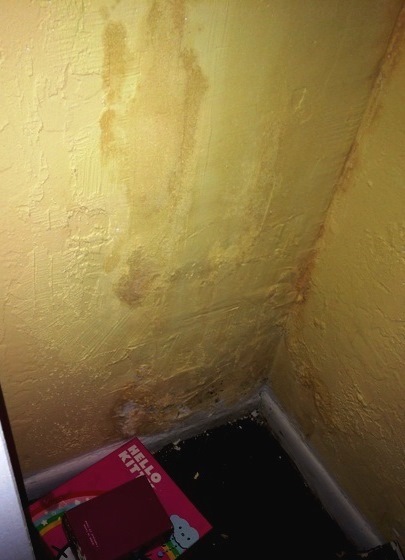 Exposure to black mold, officially known as Stachybotrys chartarum, can cause numerous health problems. We’ll tell you about the risks and how to prevent and treat illnesses from mold exposure. Of course, you should consult a physician if you have severe symptoms or symptoms that don’t go away in a reasonable amount of time. You may be surprised to learn of all the health problems that can be caused by black mold. Black mold is a type of fungus that can grow indoors and outdoors. When it grows indoors, people can inhale the spores in the air and become ill. In some cases, the illness can be surprisingly severe. Not everyone that is exposed to black mold gets sick, and some people are more likely to get sick than others. Exposure to black mold is more likely to cause illness in elderly people, infants and young children, people with respiratory problems and people with disorders of the immune system (like HIV and AIDS). Black mold illness includes respiratory problems like coughing, sneezing, wheezing, asthma attacks, the development of asthma-like symptoms in people not previously diagnosed with the condition, bronchitis, chronic sinus infections and fungal infections inside the lungs. It can also cause fever, sore throats, decreased immune system functioning, headaches or migraines, depression, forgetfulness, difficulty concentrating, skin rash, hives, fatigue and general malaise. In some cases, simply cleaning up the black mold in the home relieves symptoms of illness. If you are experiencing symptoms of mold-related illness, though, you should arrange for someone else to clean up the mold for you in order to avoid further exposure to black mold, which could make your condition worse. People at greater risk for mold-related illness should also arrange for someone else to do the cleanup, even if they are not currently experiencing any symptoms of exposure to black mold. Contact your doctor if any of your symptoms seem severe, if you have a fever higher than 103.5 degrees Fahrenheit or if you’re having difficulty breathing. Also contact your doctor if your symptoms continue even after the mold in your home has been cleaned up; something other than mold may have been causing your symptoms. Your doctor can do medical tests to determine if mold is indeed the cause of some of your symptoms and can prescribe medication to treat some of your symptoms if necessary. The only way to prevent illness from black mold is to keep it out of your home. Like all types of mold, black mold requires a fair amount of moisture in order to grow. You can use dehumidifiers to reduce the amount of humidity, which is just moisture in the air, in your home. Experts generally recommend keeping your home at no more than 50 percent humidity; you can purchase a hygrometer to measure the humidity in your home if you want to make sure it’s not high enough to cause any more mold to grow. You’ll also need to identify the source of any excess moisture. Check for leaks in your roof and under sinks, and make sure the bathroom has adequate ventilation (exhaust fans usually do the job) so the room can dry out after someone showers. If black mold does develop in your home despite your best efforts to prevent it, you’ll need to clean it up thoroughly. As we mentioned above, if you’re experiencing symptoms of mold-related illness, you should not handle mold or attempt to clean it up yourself; you should arrange for someone else to do it for you. You can hire a professional if you like. 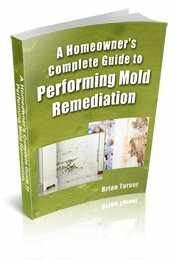 A specialist can help you determine why you have mold growing in your home and how to rectify the situation. Cleaning up mold is a waste of time if you don’t correct the conditions that allowed it to grow in the first place, because it will just grow back. A specialist knows how to locate mold that the average homeowner might miss, including mold inside air ducts, under carpeting, inside furniture and inside walls. A specialist can draw up a detailed treatment plan, including the best methods for cleaning up different types of mold and mold in different locations. The information you get from a specialist will benefit you even if you decide to handle the cleanup job yourself. Just follow this link to locate a Mold Removal Specialist near you.